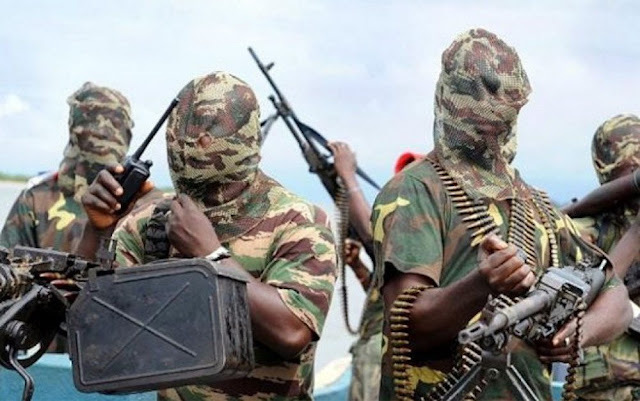 15 persons have been killed 83 others injured in a Sunday night attack by Boko Haram. 13 insurgents were also killed at Bale Galtimari village in Jere Local government area of the Borno state. The News Agency of Nigeria (NAN) reports that gunshots and multiple explosions which lasted for hours on Sunday evening, were heard from the outskirts of the city. Insurgents attacked Bale-Shuwa and Bale-Kura communities near Maiduguri in an attempt to infiltrate the town at about 8: 00 p.m. Some residents claimed the insurgents came on a convoy of utility vehicles, motorcycles and suicide bombers as well as armed gunmen. The source added that the security operatives engaged in fierce gun battle with the insurgents who detonated Improvised Explosive Devices (IEDs) and shot sporadically. "Dozens of people including women and children were wounded from the explosion and gun shots. "Due to darkness dead bodies were not evacuated immediately because there were suicide bombers among the attackers," the added.